A VERY quick four days! We spent four days and three nights in Tokyo and we can say with absolute certainty that this was not enough time to truly see the city, but we have a schedule to keep:) We had an overnight bus to Kyoto booked, so we had to pick and choose what we wanted to see most, which is going to be the case in most larger cities we visit. Below is a recap of our time in the city, but this will not do justice to the entire city and all it has to offer. 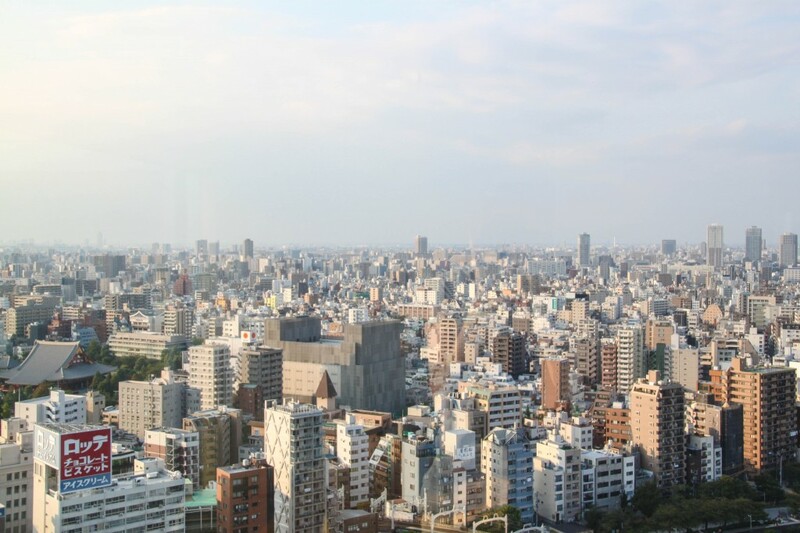 Once we decided on Tokyo as our initial destination for our round-the-world (RTW) trip, we immediately started researching what part of the city we most wanted to see. Everyone has their own preferences for activities they enjoy and a city the size of Tokyo (Pop. 13 million) will have something for everyone. You can find night clubs and late night drinking scenes, laid back areas, historical sites, etc. 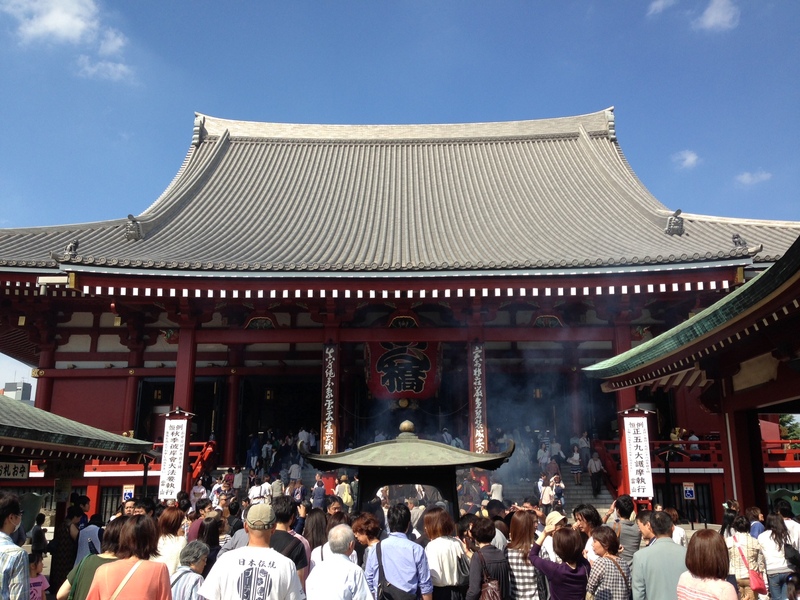 However, all of our research seemed to keep leading us back to one place – Asakusa. One of the oldest areas of Tokyo, Asakusa is where we decided to set up our base for four days and spend the majority of our time exploring. The Senso-Ji buddhist temple is a major tourist site for visitors, but locals still frequent it as it is an active temple. Asakusa used to be a popular entertainment district, but it has been surpassed by other parts of Tokyo, specifically Shinjuku. 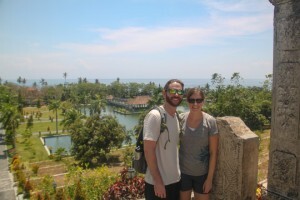 We found this to be a positive since we prefer more relaxed areas and sights, versus the fast-paced parts of large cities. You can still find a few late night hot spots to grab a drink while sitting outside, but many of the local businesses shut down after dinner time. Asakusa is located in the district of Taito and Taito City was a another spot we literally ran into while walking one day. It was a quick 1.5 mile walk from our hotel and we were glad we decided to head that direction. Ueno Station is located here, which is a major hub for trains running throughout Tokyo. We walked through some of the side streets and it was an absolute different feel than Asakusa, which was fun to see. Matt walked into what he thought was an arcade only to realize it was a 3-story casino/slot machine palace. A gambling place is usually somewhere Matt feels at home, but this was even too much for his senses to handle. It was loud, smokey and felt like Las Vegas on crack. After leaving the slot room, we found a quick noodle shop for lunch before heading to Ueno Park. This huge park located in Taito has a variety of temples and museums, a zoo, baseball fields, shops and lots of concrete. 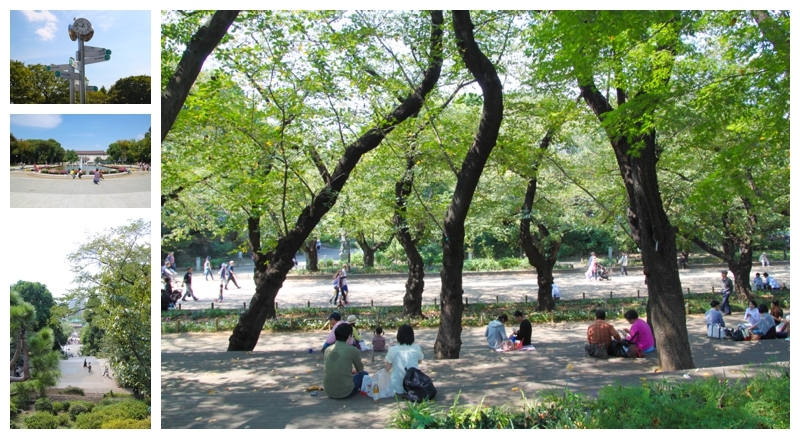 Green space is limited in Tokyo and this is even the case in its parks. We heard this crossing was a must see, so we made a point to take the subway from Shinjuku where our overnight bus was leaving from for Kyoto. This is considered the busiest pedestrian crossing in the world, as ten lanes of traffic and five major crosswalks converge. They have estimated that up to 2,500 pedestrians cross during each crossing change during rush hour. It was a little rainy the day we went, but was still quite a sight. We went into the Starbucks overlooking the crossing to get a better view and we would definitely recommend checking it out if you decide to visit Tokyo. If you haven’t experienced the Tokyo subway system, it is well worth the price of a ticket to see the chaos that ensues. Rush hour or not, it is an experience. You might get lost (which we did), but that just made it something we won’t soon forget! WOW! AMAZING, FANTASTIC, AWESOME, GREAT, UNBELIEVABLE. Basically any positive adjective can be associated with everything we ate while in Tokyo. It started from our first meal of Udon and never stopped. We are pretty sure we exceeded our noodle intake over the last five years in the last 4 days. From Udon to Ramen to Soba, every single dish was perfect. And no, Ramen packs in college are not the same as the real thing. Tokyo is a clean, respectful and wonderful city. The culture and customs of the Japanese are amazing to experience and the people could not be nicer. We were treated amazingly in every situation and never met a rude person in our time there, even when we were the obvious lost tourist getting in the way. We would recommended Tokyo to anyone considering it and plan on coming back at some point in the future. Mmmmm….noodles!! Sounds like you had a great start to your trip….always a good thing! Enjoy Kyoto. 🙂 I am in noodle heaven here! Yes, great start which we are very thankful for. Hope all is well with you guys!